Special edition, collector's edition, and limited edition releases of video games are nothing new. They've been around for as long as companies have known they could make a few extra bucks by slapping on some new box art and including a few bonuses with the retail release. But these special edition releases weren't nearly as frequent ten (or even five) years ago as they are today. It seems like every major title has to provide this second option - or in some cases (like Halo), three flavors to choose from. Obviously the cost between standard and special editions is a major factor for gamers when they look into purchasing a game, but the contents can also be a dealbreaker. I certainly can't say that I'm speaking for the majority, but what I personally look for in these so-called special edition releases is, well, something different that makes the upsell seem worthwhile. The only criteria for the titles I'm going to cover is that they have to fit in the category of a special/collector's/limited edition, where the content comes packaged with the game for this special release, regardless of where the game is purchased. This means that any exclusive content promised by one store or another does not count, nor do re-releases that come packaged with an extra disc worth of DLC (ie. Game of the Year editions). My copy of Majora's Mask is the collector's edition version, which was a promotional stint Nintendo put on for those who pre-ordered the game. Aside from the gold-colored cartridge and the holographic cover art, there's nothing to separate it from the standard game. And that's the sort of thing people expected from special edition releases of yesteryear - a little extra flair, perhaps, but the same game they could buy otherwise. I still think Majora's Mask is a phenomenal game, and I can use the gold cartridge for some bragging rights. But the content in today's special editions are usually divided into two categories - content for use in the game itself such as character costumes and weapons, or physical objects like posters and small statues. However, I've found a lot of people tend to complain about the mini-statues included with games like Bioshock and the upcoming Batman: Arkham City. I have to agree with such sentiments - while they certainly look cool, they are likely going to sit on a shelf and gather dust. Those that include poseable parts are usually cheaply constructed and prone to break, and it's usually a better alternative to fork out a few bucks for a more sturdily-built action figure. In some cases, though, these statue-like items can serve a dual-purpose. In the case of Halo 3's Legendary edition, the Spartan Mk VI helmet (though not wearable) slid over the protective case that housed the game and the bonus material DVDs. Not to say that the Noble Team statue from the legendary edition of Halo: Reach isn't cool to look at, but Halo 3's helmet serves both aesthetic and practical purposes. Focused more on physical bonuses, Bioshock 2's special edition release included three posters from Rapture, an artbook that detailed characters and locations from the game as well as those that were cut from the final product, the soundtrack to Bioshock 2 on a CD, and the soundtrack to the first Bioshock on a vinyl record. To top it off the box art featured a butterfly collage of handprints representative of Sofia Lamb's Rapture Family. As a huge fan of both Bioshock games, I feel this is the ultimate package 2K could have delivered to their fans. Even if you aren't as big a fan of Bioshock, there's still a nice mix of different inclusions to merit the price tag. Similarly, the recently-released Catherine had a deluxe edition that oozed the essence of what the game is all about - a pair of boxers, a t-shirt, a pillow case, and an artbook with the game's soundtrack, all packaged in a Stray Sheep pizza box. Not all special editions have to include physical items, though they certainly should include more than two extra characters if they are going to cost an extra ten dollars (I'm looking at you, Marvel vs. Capcom 3). Going back to Halo 3, the majority of the bonus content for the Legendary release was on the included DVDs, which presented a great deal of information on the major characters, species, and events of the Halo universe. The collector's edition of Halo: Reach went a slightly different route by including a journal penned by Dr. Halsey and a number of files, photographs, and maps that served to elaborate on the events preceding the fall of Reach as well as to closer tie the game to the Halo novels. Metal Gear Solid 4: Guns of the Patriots saw a limited edition release that included a bonus disc which served a similar purpose - present players with a digital encyclopedia that links together every event and character from the Metal Gear Solid storyline. While there has been a constant increase in recent years in the number of games that see special edition releases, not every one of them receives as much praise as the next. It seems some companies are now listening to their consumers and including content that not only sets the special edition apart from the crowd, but also makes gamers feel like their money was well-spent. Personally, I'm a fan of such a motion. Obviously not all of them are going to change their tune to accommodate, but that's also a big part of the reason I seek out the few special editions that I do wish to splurge on - the more one-of-a-kind package it is, the more likely I am to purchase it. 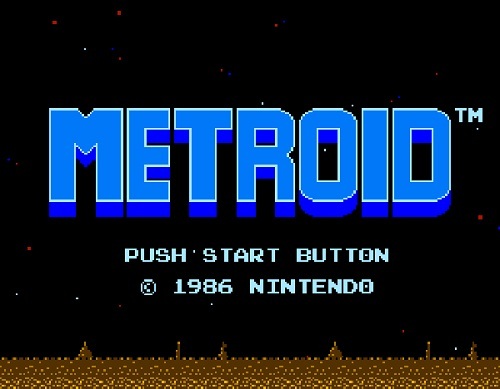 As Metroid has turned twenty-five, I've decided to do a bit of retrospective on the franchise. As much as I do love the series, there are a few games I have yet to play, so Metroid: Other M, Metroid II: Return of Samus, and Metroid Prime Hunters will not be included. This will not focus so much on the history of the series to present day, rather it will be a look back at what Metroid meant for me personally. The first console I ever owned was the N64, and because of that the bulk of my early gaming experiences came from 1990s Nintendo titles. My first introduction to Samus Aran was through the original Super Smash Bros., and most of my friends were too young to have played any of the previous Metroid titles when they were first released. Thus, my knowledge of Samus was rather limited - I knew she was a bounty hunter, and that she had to have some game of her own, but I never saw a Metroid title on the N64 and kind of forgot about Samus for a while. Not long after I purchased my Gamecube, I heard about a new Metroid title slated for release on the console. At this point I had a little more to base my judgment off, as I'd played portions of the original Metroid. From what I could gather from my Nintendo Power magazine, Metroid Prime was going to be a whole different style of game from its side-scrolling predecessors. At that time, I wasn't particularly skilled at any games that took on the first-person perspective, and I decided to rent it first. I fell in love with the game - the graphical stylings, the soundtrack, the boss fights, and the gameplay were some of coolest I'd seen in years. Needless to say, I forked out the cash and bought myself a copy, which I played through multiple times in hopes of achieving a 100% completion rate. When the sequel was announced, I counted down the days to its release. I decorated my bedroom walls with every Metroid Prime 2: Echoes poster that Nintendo Power included with their magazine. At the same time, a friend of mine owned a copy of Metroid Fusion, and while I didn't play much of it, I got enough of a feel for the two different schools of design that the Metroid series followed. Between Fusion and Prime 2: Echoes, I also got a feel for how dark the stories could be and how challenging the games could get. Don't get me wrong, I love Prime 2: Echoes. 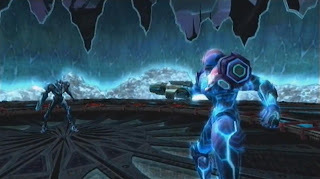 But it has some of the most challenging boss fights in the series, and the fact that the air in Aether's Dark World harms Samus when she isn't protected by the Luminoth's crystals can get to be a bit annoying. Thankfully the Dark Suit and Light Suit counteracted this, but Prime 2: Echoes required so much backtracking and had some less-than-ideally placed save stations that I wasn't as keen to replay it as I had been with the first Prime title. At the same time, the minor issues I did have with Echoes made me realize what elements of the Metroid games I preferred. Before Prime 3 was released, I decided to work backwards, replaying Samus' first mission to Zebes over again. Only this time it was in the form of Metroid: Zero Mission, an updated and (I would argue) improved version of the original Metroid. There's certainly no replacing what the original did in launching the series, but not only did Zero Mission look prettier and control more smoothly, it made me feel more of a connection to Samus through the narrative. Zero Mission quickly became one of my favorite Gameboy games, and my second favorite Metroid title behind Prime. I picked up a copy of Metroid Prime Pinball not long afterwards, looking for a quick casual handheld gaming fix. While it isn't anything mind-blowing, I found Prime Pinball to be a very interesting spin on the pinball formula, combining boss fights and iconic locations from the first Prime title. The different paths the game presented made for a unique experience each time I played, with an increasing level of difficulty that was not expected but - at the same time - very much welcome. I'd heard overwhelmingly positive responses toward Super Metroid, and decided to download it to the Wii's Virtual Console. Having played through about half the title thus far, I can see some obvious influences the gameplay style had on the design of Zero Mission. The dark and moody atmosphere also seems to have had an impact of the latter two Prime titles, as well as Fusion. And while I've always known the Metroid games to have a notable degree of difficulty to them, Super Metroid is easily one of the most challenging in the series. Eventually I got around to picking up Prime 3: Corruption - a little later than most people, but I was still plenty excited to cap off the trilogy. One of my major concerns was the shift to motion controls. Thankfully, these were quickly put to rest following a mini-tutorial early in the game. Prime 3: Corruption felt more akin to the first Prime than it did to Prime 2: Echoes. Corruption spanned multiple planets, and though no single planet was as vast as Tallon IV or Aether, each presented beautiful and alien environments that just begged to be explored. Some voice acting was brought in - a first for the series - though this was only applicable to NPCs, and both Samus and Dark Samus remain silent for the duration of the game. The boss fights had great variety, and were as much a challenging to beat as they were a treat to play through. Some unnecessary weapons and abilities from Echoes were shaved off, and Samus' arsenal was keep to a more manageable level. That said, new inclusions were weighed more on their practicality with the gameplay, and all of that added up to an 'everything old is new again' feel about Corruption. 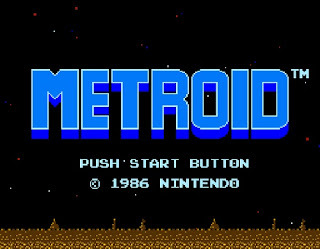 While I do enjoy sci-fi games like Halo, such games aim for a grand 'space battle' scenario, whereas Metroid is more focused on the solo approach of exploring mysterious alien worlds. Prime 3: Corruption and Other M are, at least to some extent, each a breakaway from the traditional Metroid formula, as they both deal with the Galactic Federation and the history of the Space Pirates. But most Metroid games tend to keep the spotlight on Samus and her personal history with the Space Pirates and the Chozo. I feel the storytelling is strongest in three games - Super Metroid, Zero Mission, and Metroid Prime. 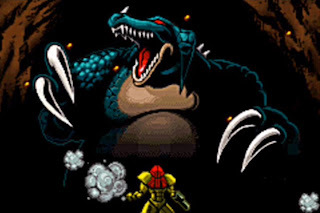 Super Metroid and Zero Mission take a similar approach to one another, revealing the narrative in cutscenes at certain points during the gameplay, though the majority of the story is meant to be tackled firsthand as players progress to each new area. Prime, on the other hand, requires players to scan the various Space Pirate computers and Chozo lore, which reveals to players not only information relevant to the story of Prime, but also ties things together with the other games in the series. Though it does require players to go out of their way if they wish to find all of the lore, the payoff is well worth it for Metroid fans. Despite a large gap between Super Metroid and Prime/Fusion's dual release, the series has stood the test of time. Each game offers enough new features to change the game style, but never forgets it roots. Congratulations on twenty-five years, Metroid. 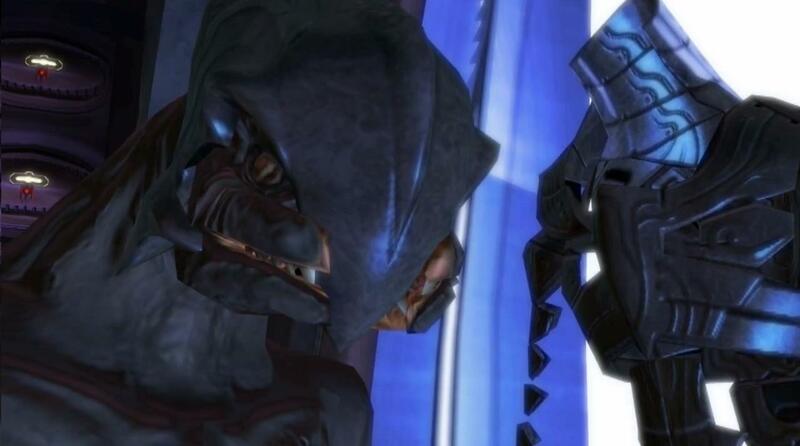 One month after the events of the original Halo, the Elite in charge of of the forces that pursued the Pillar of Autumn from Reach to Alpha Halo is brought before the High Council and the Prophets - the leaders of the Covenant. He is questioned as to why he was not able to prevent the destruction of the ring, and though he tries to explain that containing the Flood became his highest priority, the council claims his actions were that of heresy. The Elite is then carried away to be branded. While he expects to be executed, the Prophets inform him that - despite what the council might demand - his fate ultimately rests with them. The Prophets then provide him with an alternative - become the Arbiter, the hand of the Prophets, and seek out those who would defy the Covenant's grand design; those who do not believe in the Great Journey. Meanwhile, Cairo Station is in orbit above Earth, and on it Master Chief and Sgt. Johnson are the recipients of medals for their actions at Alpha Halo. Miranda Keyes, the daughter of Captain Jacob Keyes, is granted a medal on behalf of her father. Cortana informs Lord Hood that she is picking up faint signals further out in the Solar System, which prompts Master Chief and Johnson to action. Not long after, Covenant boarding vessels begin latching on to nearby MAC platforms and blowing them up from the inside in order to clear a path for the Covenant cruisers to land on Earth. Master Chief then proceeds to seek out the bomb that has been planted in Cairo Station, then heads planetside to aid in repelling the Covenant. This setup might seem a bit strange at first, as the original Halo was told only from the perspective of Master Chief and the UNSC Marines. 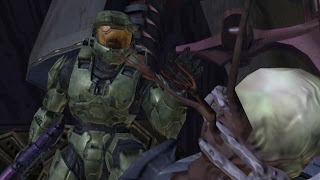 But after the first few missions it becomes apparent that Master Chief's story is not the only one being told, as players are granted control of the Arbiter. The controls for the two are almost identical, though Master Chief is given a flashlight while the Arbiter uses active camouflage, as well as the obvious differences in UNSC and Covenant weaponry. This works brilliantly - not only for the gameplay which keeps players on their toes as they alter between fighting the Covenant forces as Master Chief and confronting both Flood and Forerunner sentinels as the Arbiter, but also for the story. No longer is the Covenant a conglomerate of aliens seeking the same end - their social structure, their religious faith in Forerunner technology; all of this is explored in detail, adding greater depth to the entire Halo story and allowing players to better understand and relate to the two factions. Grunts, Jackals, Hunters, and Elites all make their return and not only receive improvements in their physical appearances, but also in their reactions to players. The same can be said for the Flood - their grotesque appearance and disturbing cries, combined with greater agility and smarter responses makes the parasite even creepier than in the original Halo. As for the newcomers to the Covenant forces, the ape-like Brutes react in a similar fashion to the Elites, though they will charge at players as a last resort. Drones do not appear as frequently as any of the other Covenant species, but they do present a much different challenge - their health is minimal, but they attack in swarms of a dozen or more at a time as they dart around to evade fire. Dual-wielding is now made possible, and players can mix and match any of the smaller wepons they wish in both campaign and multiplayer. Larger weapons are exempt from this, so no dual-wielding of shotguns, battle rifles, rocket launchers, snipers , or carbines is allowed. When you're playing as Master Chief and you're deep in Covenant-controlled territory with only a clip or two left in your SMG, the ability to pick up a needler and a plasma rifle will be appreciated (the same can be said for the Arbiter in the midst of fighting the Flood). During cutscenes, there are some objects that will 'bump-in' a second or two after the rest of the scene has rendered itself. It's a minor annoyance at worst, though, and thankfully does not occur with objects or scenery in the midst of a level. That aside, the game looks graphically gorgeous for a 2004 release. It certainly aims for a more realistic look, but doesn't lose sight of Halo's signature art style, which is carried over in the design of vehicles, weaponry, and the Covenant forces. While there are certainly some memorable tunes from the rest of the games in the series, the soundtrack to Halo 2 is phenomenal throughout. It takes the iconic soundtrack of the first game and improves upon it with soaring tunes to match the epic scale of Delta Halo's environments, dark and mechanical sounds layered over narrow Flood-infested passages, and echoes that are both majestic and alien filling the halls of High Charity. Players can tackle each mission of the campaign alone or with a friend via splitscreen co-op. Multiplayer makes a triumphant return, allowing for system link or online play for up to sixteen people per match. The maps included on the disk present a great variety of small, medium, and large combat zones. Some, like Midship and Ivory Tower, present players with the option of close-quarters combat or ranged rifle shootouts. Others like Waterworks and Coagulation focus on vehicular combat, while Zanzibar and Headlong provide a balance of all of the aforementioned. Players can also choose either a Spartan or an Elite character model for use in multiplayer. In-game, they basically control the same, though the height and position of the Elite's head may prove a make-or-break deal for SWAT and Sniper matches. Players can customize their multiplayer counterpart with two colors and an emblem, and designate one of a handful of preset control schemes. Some might criticize the game's cliffhanger conclusion, but there's no denying how effective the storytelling in Halo 2 is. The online play, though discontinued as of 2010, was not only some of the most enjoyable on the original Xbox, but was also arguably the most influential for the generation. While Bungie did not start online gaming, they made a big push and almost single-handedly got the ball rolling on this new frontier for console gamers. 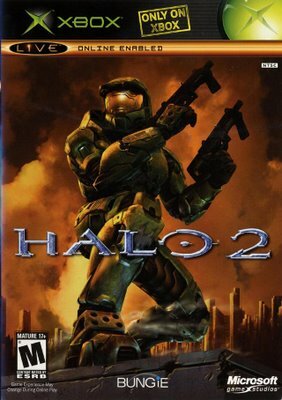 Given both the technology and time constraints Bungie was working with, there are some imperfections with Halo 2. But taking into account everything it did correctly, it's arguably the best title in the entire series. The more recent releases in the Sonic the Hedgehog series have received more than a little negative reception from critics and gamers alike. Not only do they seem to be churned out quickly without receiving adequate time to develop an enjoyable (or in some cases, logical) story, but the gameplay is usually hit-or-miss. Some games manage to throw too many curveballs at gamers by trying to fix what isn't broken, while others work backwards on familiar formulas. And while some old-school fans of the Genesis-era Sonic games might blame this unfortunate turn of events on the series having shifted to the realm of 3D, the first few 3D titles actually showed a great deal of promise for the series. 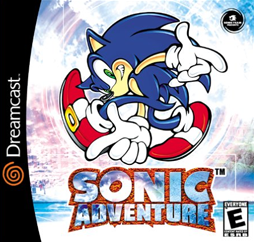 Sonic Adventure was arguably the most revolutionary title in the franchise since the original Sonic the Hedgehog, and succeeded in many areas as the series' first big 3D outing. The story of Sonic Adventure builds off the relatively simple premise of Eggman relying on the water-shifting entity known as Chaos to gather all the Chaos Emeralds in order to destroy Station Square. Things become more complex via the intertwining stories of each of the playable characters, as well as the story of Tikal and her people, the latter of which is revealed in small cutscenes for players to piece together. It's disappointing that the shaky voice acting bogs this storytelling down some, as Sonic Adventure has one of the stronger plots in the entire series. From the start of the game, players are granted control of Sonic, whose high-speed levels make up the bulk of the game. During the course of Sonic's narrative, he will encounter other familiar faces, including Tails, Knuckles, and Amy Rose, as well as two newcomers - E-102 Gamma, and Big the Cat. All five of these characters can then be selected from the main menu, and completing their stories ultimately unlocks Super Sonic as a playable character for the game's final chapter. Each character has their own unique abilities, with Tails being able to fly (to both immediate areas via his tails and higher altitudes in his plane, the Tornado), Amy carrying an oversized hammer to fight back enemies, and Knuckles having powered-up punches and the ability to glide through the air. While Tails and Amy's levels stick to the same basic formula as Sonic's levels, Knuckles is tasked with restoring the missing pieces of the Master Emerald in free-roam treasure hunt levels. E-102 adds gunplay to the race-to-the-finish routine, and follows up each with a boss fight against his robotic brethren. Big the Cat is perhaps the most obnoxious character in the game, with regards to both his 'bumbling idiot' personality and his control scheme. Every one of his levels is the same concept - catch his friend Froggy with a fishing pole. Thankfully there are only four levels to Big's story, though each is equally frustrating, as Froggy only goes for the bait half the time, and Big can lose his edge reeling Froggy in at any moment. The rest of the cast controls quite smoothly, save for the occasional awkward camera angle that leads Amy to run into a wall. Players can also access three different Chao gardens after exploring the nooks and crannies of each separate area of the overworld. The Chao gardens act like a minigame of sorts, where players can raise the Chao and have them compete in races. Animals that are collected by destroying Eggman's robots in the various action stages can be brought back to the Chao gardens, and giving these to a Chao will alter both his/her appearance and attributes. It is a bit of a time-consuming process, but players who want to earn every emblem or simply wish to extend their experience with Sonic Adventure will probably find it an enjoyable, though casual, minigame. The soundtrack to Sonic Adventure presents a wide variety of musical stylings, from hip-hop to heavy rock to techno. Each track meshes quite well with its respective stage or character, though a few cheesy lyrics drag down some of the tunes. The voice acting is pretty terrible across the board. The game's sound mixing, on the other hand, is quite impressive for its time. This is due in part to how much of a head-start the Dreamcast had with tech that would eventually find its way to the PS2 and Gamecube. Similarly, the graphics are a standout element for Sonic Adventure. They might seem primitive by today's standards, but the fact that this 1999 release had such detailed textures and rounded edges instead of the angular character models of other big titles such as Ocarina of Time and Final Fantasy VII were big steps toward the current-day standards of modern 3D gaming. Some elements of Sonic Adventure seem like a test bed for what would come in later titles - primarily the consistent format of each character's missions, and the Chao gardens. Its visuals certainly look dated and the gameplay is not as polished as in the sequel. That said, Sonic Adventure is still a great adventure platformer in its own right and is a lot of fun to play twelve years after its debut.